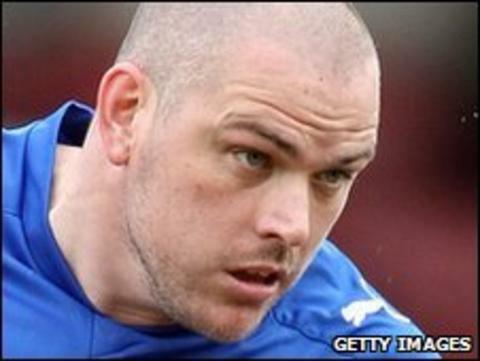 Morecambe have appointed captain Jim Bentley as their new player-manager. The 34-year-old has signed a two-year deal to replace Sammy McIlroy, who left the club on Monday after five and a half years with the Shrimps. Bentley joined Morecambe in May 2002 after a five-year spell with Telford United and has made 329 appearances. "It's going to be a tough job and it's totally different from what I'm used to, but it's a challenge I'm up for," he told BBC Radio Lancashire. "I love the place and I've enjoyed my time here as a player. "I've coached the reserves and that's been a decent transitional period for me of having a coaching role while still playing. "But to get the job and being able to stamp my own authority and put my own ideas into it, I'm certainly confident I can take the club forward." Chairman Peter McGuigan told the club website: "Jim has shown in his playing career that he is a natural born leader. "During my discussions with Jim earlier this week I was very impressed with his vision and I trust that everyone will get behind him in his new role. I am confident that he will continue to prove his leadership qualities in his first managerial post.